Home » Blog » Are Teslas really worth it? The Tesla name has made a huge splash in the auto industry in recent months and years. From fuel efficiency to futuristic technology, Tesla is hoping to edge out some of the other competition like Toyota Prius. But, how do we know that Tesla really delivers on all that they promise? If you’ve been considering a Tesla, you’re not alone. So to help you decide if it’s a right fit or not, we’ve broken down some important topics like safety ratings, purchase price, maintenance costs, and even access to charging stations so you can decide for yourself if it makes sense to purchase one. So, how much do Tesla’s really cost? The current line of Tesla vehicles on the road consists of four different models, each with different price points. To start off, it’s $49,000 for the basic Model 3. For certain versions of the sporty and sleek Model X SUV which seats up to seven, you’re looking at upwards of $140,000. Gulp. But there’s a silver lining in those heavy tags. The good news is that some states issue tax credits that go towards the purchase of Tesla vehicles and other energy efficient purchases. Thankfully those credits will help to offset a portion of the purchase price. How much will I save on fuel costs with a Tesla? So you might be saying to yourself, “Sure, a Tesla can have a heavy price tag, but think about all the money I’ll save on gas!” According to Nerd Wallet, when all is said and done, you can expect net savings (taking into account the electricity costs of charging your Tesla vehicle) of between $810 and $890 per year assuming you drive an estimated 15,000 miles per year. After a few years, you’re looking at an extra couple thousand bucks! And hey, bonus points: You can take pride in the greatly reduced emissions and the coinciding reduction in your personal carbon footprint when you drive a Tesla. It’s important to remember that all models may not have the same performance features, so make sure to ask your Tesla dealer when you’re looking at a specific model. However, there are some safety features in the new Tesla vehicles, like “track mode” in the new Model 3 Performance version that have a lot of Tesla enthusiasts excited. What does it do? It allows the car to drive and perform more like “custom racers,” according to Fortune. The new version of the Model 3 also features dual-motor all-wheel drive, clearly defining it as a performance vehicle and surpassing expectation of former sports sedan powerhouses like the BMW 3-series and Audi A5. While it may not be ready for endurance racing, it is sure to enhance your enjoyment of your daily commute to the office. Why are people attracted to electric cars? While Teslas are nearly in a class by themselves, the increased demand for electric vehicles isn’t the result of a single issue. Instead, it is the combined effect of a variety of factors that appeal to different segments of the population. 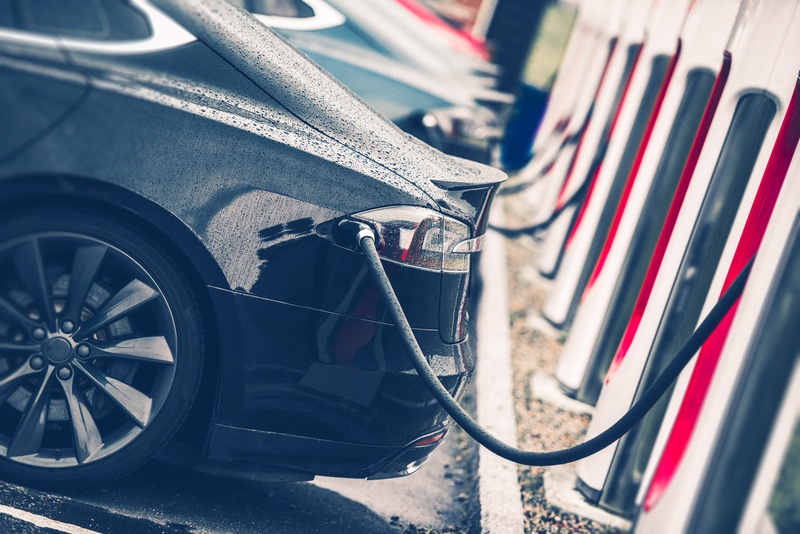 Tesla can be credited for a good deal of the rising popularity of electric vehicles by investing heavily in raising awareness about these vehicles and what they can mean to consumers and the environment. Combine that with the creation of a stylish looking electric vehicle that uniquely stands out when compared to many of the other electric models on the road today, and you have a car brand that becomes pretty desirable. The 2016 fatal crash involving a driverless Tesla vehicle calls into doubt some claims by Tesla that installing the Autopilot’s Autosteer function in Tesla vehicles will reduce crash rates by 40 percent (at least as far as the National Highway Transportation Safety Administration (NHTSA) is concerned). The agency believes the prior investigation did not properly investigate how effective the technology was for preventing accidents and that further investigation is warranted. Drive Mag has reported that Tesla cars are actually some of the safest in all categories, earning five-star safety ratings in all subcategories by the NHTSA and receiving superior ratings from the IIHS for front crash prevention. That doesn’t make it perfect, however, as the Model 3 was cited for having poor braking and the Model S for having poor headlights. Tesla cars do offer some of the most advanced safety and autonomous driving features available today, making them highly attractive to consumers. Unfortunately, there are too few of these cars currently on the road to properly assess the difference they are making. As we start to see more vehicles with advanced safety technology and even autonomous driving features, the hope is we’ll see fewer people severely injured or killed in auto accidents. Now more than ever, consumers are placing value on the safety in the cars they drive, and like Tesla, car makers are responding by offering more models that are equipped with better safety technology. In the past, these features were only available as additional upgrades which led to a higher price tag. However, in more recent years, 20 of the world’s top automakers agreed that by 2022 most of their cars will come equipped with forward crash mitigation. Toyota has already gotten ahead of the curve and equipped the Corolla with standard forward auto-braking. 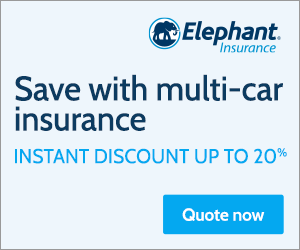 With car makers stepping up their initiatives, car insurance companies like Elephant now reward car owners who drive cars with new safety technology by giving them discounts. It’s simple, if you’re choosing to prioritize safety when buying a car, then we think you should be rewarded for that on your insurance premiums.